This month, DyCare participated with the ReHub solution in the final of the Sanitas Disruptive program, initiative of the insurance company to promote innovation and acceleration of health startups, within the “Liquid Hospital” category. Today, the health insurance business is a sector in which, like most industries, digitization threatens to break molds and create a new ecosystem. “It is time to reinvent oneself in order to survive, but without losing the essence of the business: taking care of people”, explains Iñaki Ereño, CEO of Sanitas in El Español. Under this premise and betting on innovation, the organization launched in January a new edition of Sanitas Disruptive: a program that seeks to enhance the talent of entrepreneurs and startups who want to transform the world of health. This year projects were sought that could provide value to users in six areas: prevention, artificial intelligence, blockchain, data & analytics, robotics and liquid hospital. Areas in which Sanitas has detected that there could be potential improvements and that, according to Ereño, “on many occasions, are not known by the teams of the house, so we decided to go look for them in the external talent”. Out of 195 startups, Sanitas selected 18, including DyCare for its rehabilitation solution, Rehub. The Liquid Hospital category corresponds to a new concept of hospital that aims to remove medicine from the four “physical” walls of a center, by using technological tools. With the aim of improving doctor-patient interrelationships and the exchange of knowledge between professionals, Sanitas saw ReHub as a revolutionary solution for rehabilitation therapies: an online platform that connects the patient, the physiotherapist and the doctor. The patient can carry out his rehabilitation treatment from home or wherever he wants, always monitored by the rehabilitation professional and guided by the physiotherapist, generating more tranquility and motivation, two factors that influence his adherence to the treatment. In addition, the solution saves time, mobility and costs for the health service. 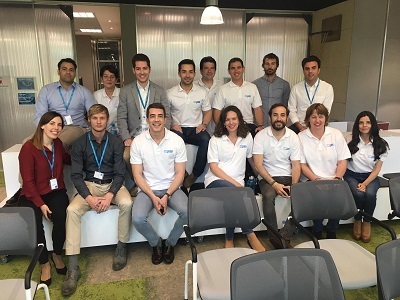 For these reasons, Sanitas proclaimed this project as a finalist and called on DyCare to defend it in the Madrid offices on 11 March together with two other startups selected in the same category. During Pitch Day, the 18 startups presented their projects to the insurance company’s employees, who voted for their favorite project in each of the categories. 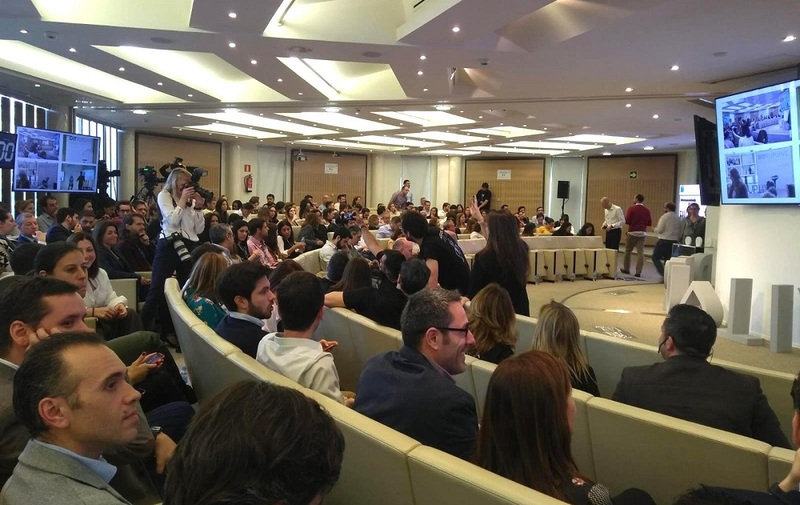 Through the votes of Sanitas professionals from all over Spain, not only those who were present, but also those who followed the event by streaming, the 6 winning companies were announced. They will be immersed for 3 months in an incubation period to accelerate their pilot projects. The votes were very close. The professionals were very involved during the event and considered that the choice was made between high level projects. DyCare did not turn out to be the winner, but the organization found it a very interesting proposal and both parties are open to possible collaborations. Silvia Raga, CEO of DyCare and in charge of presenting the project in Madrid, points out that “although we are not the winners, we have gained more visibility and Sanitas already has our contact”. The team believes that working with Sanitas in the future is an opportunity to access a large network of hospitals and be able to offer a direct benefit to patients.